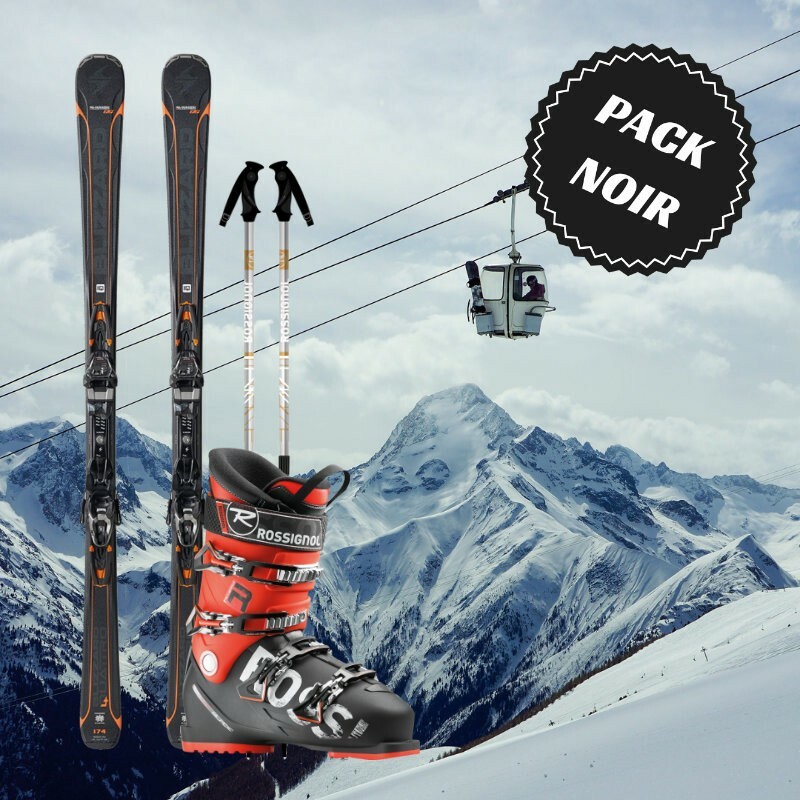 This pack for expert skier includes a pair of skis, a pair of ski boots and a pair of ski poles. 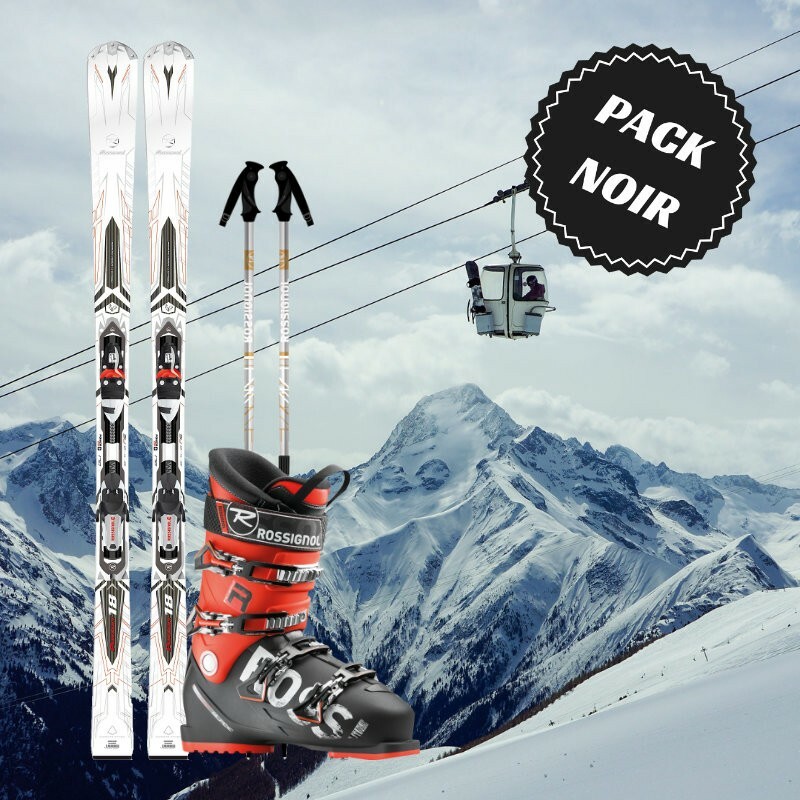 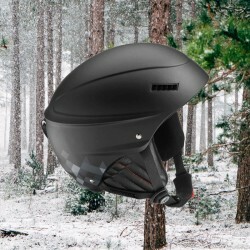 The black ski package of Skimax is for confirmed skiers looking for a ski combining performance and versatility. Enjoy the magical location offered by the resorts of Chamonix and test your performance with a ski that will support you whatever your speed. 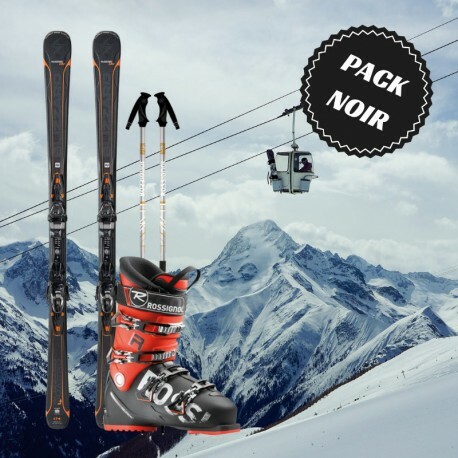 We have selected models of skis amongst the largest brands on the market, adapted to the ski slopes and all-mountain skiing. 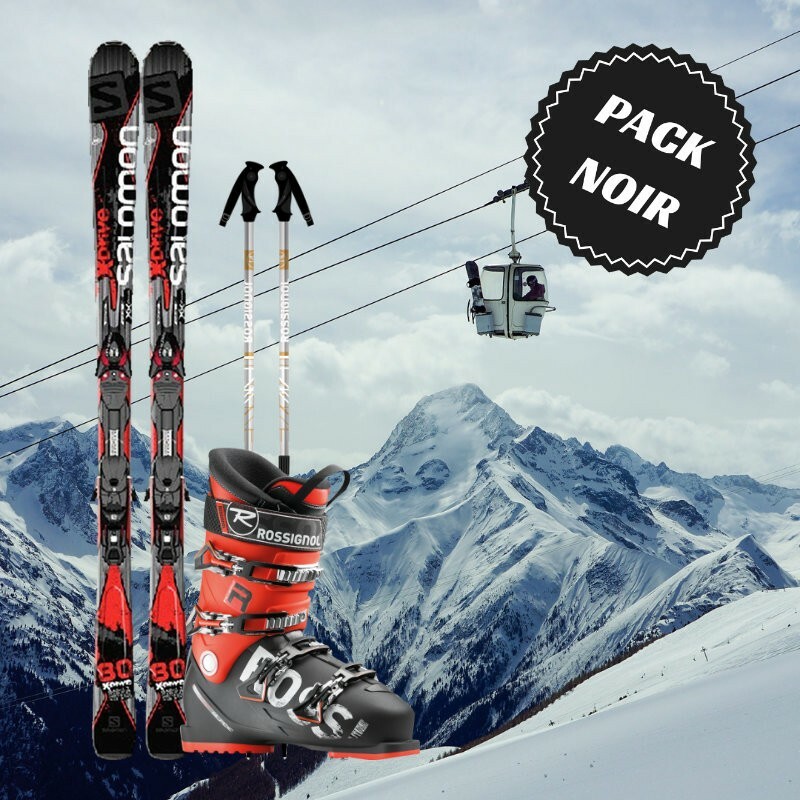 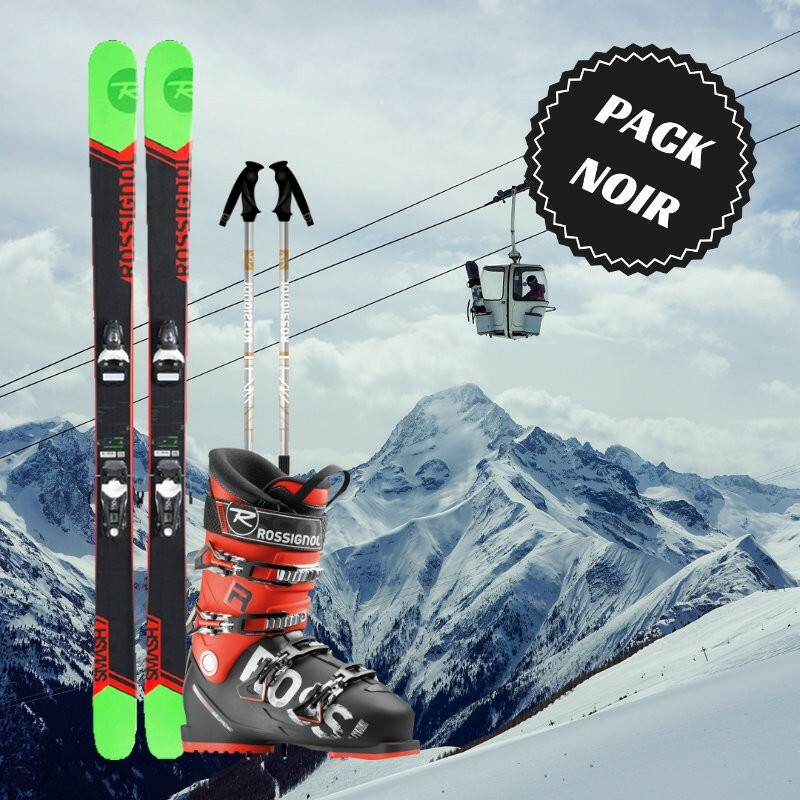 Black skis are rented with an effective and sporty pair of ski boot that bring the precision necessary to taking high speeds. 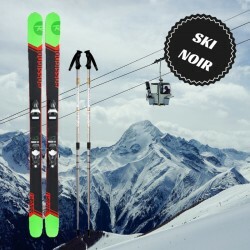 Available models: Rossignol smash 7, sassy, Rossignol experience 80, Rossignol temptation 80, Salomon x-drive 80, Dynastar exclusive active Nightingale, Nightingale puirsuit 18 or equivalent model.